PLM remodel & restoration is Houston #1 Kitchen remodel contractor. We understand that a kitchen is the heart of every household. It is for this reason that we want to transform this space into a lifestyle that you deserve and enjoy. We cater for all of your needs and members of your family. If you are a painter, then we are your paint and brush. It does not matter whether you are in need of a modern, mid century, contemporary, industrial or Scandinavian design; we begin every project we find by first listening to what the client wants. Just to ensure that we understand what you want, we will create a 3D model that will demonstrate exactly what you want. We discuss all ideas and only start the project if you are satisfied with the model you see. Working with you in this manner will ensure that you realize your vision fully. Our designers will offer guidance in the many selections that we have for you. We are all about lifestyle, and we understand that is precisely what you want. Our employees are ethical and have been certified by top agencies to do what they do. 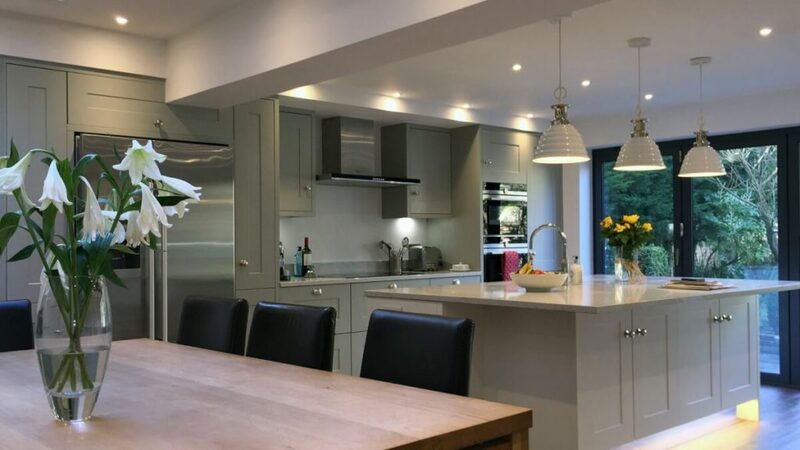 The modern kitchen is no longer just a place for preparing and serving meals; our busy lifestyles have transformed the kitchen into the most used room in the house. The Kitchen is where people snack, dine, socialize, and work. The diverse and increased use of today’s kitchens makes it the most frequently remolded room in the house. It is also the single most important room taken into consideration in a resale. Kitchen components that frequently require remodeling include counter tops (The most popular kitchen counter tops are either granite or marble. 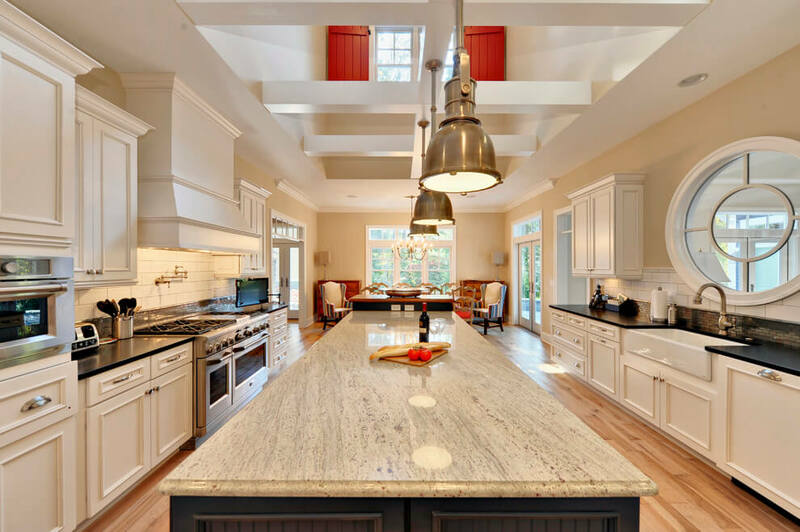 Granite tends to delicately combine texture and durability of the counter tops), cabinets, and the color scheme that accentuates the various components. We got you covered for any slight or huge installation that you would want to do. Here is a list of some of the services that we can offer you. Any customized service not mentioned below is welcome. Reconfiguring and removing a wall. Light configuration (this includes but not limited to the following recessed canisters, switches/outlets, having LED under counter tape lighting, pendants, layered). We will provide the brand of your choice and install appropriately. Cabinet hardware installation (this includes pulls, knobs, and hinges). We will bring the brand of your choice. Installation of plumbing fixtures including faucets. Tile installation (both flooring and backlash). We will provide the brand of your choice. Plenty depends on how high-end and customized you want to go, but there are some easy rules of thumb to keep in mind when estimating your costs. Start by dividing your spending into two categories—the cost of materials and the cost of the labor. Costs of materials are the costs you can control a bit more and adjust depending on your budget and taste. Keep in mind that if you’re doing a higher-end remodeling, the added value is just as much in the infrastructure and precise, custom design as it is in the quality (and price!) of the appliances themselves. Some of which may include Appliances like stove, fridge, dishwasher etc. We buy in bulk from our suppliers and factories then we carry it over at the lowest cost to you, our customer. Bottom line? 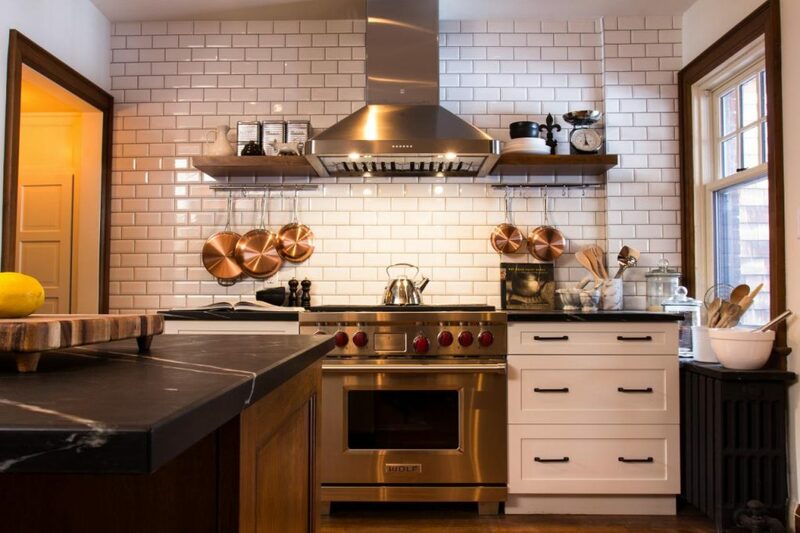 If you choose the right contractor and nail down all the costs you expect to encounter ahead of time, you are well on your way to a smooth remodel—and the kitchen of your dreams. PLM Remodeling is a Kitchen Remodeling Contractor serving in & around Houston TX that you can trust and depend on from the day you request your free kitchen remodeling estimate to the day you see your new beautiful kitchen. Imagine your kitchen with more counter-space and then imagine that counter-space is made of only the highest quality materials reflecting your preference in color and texture. 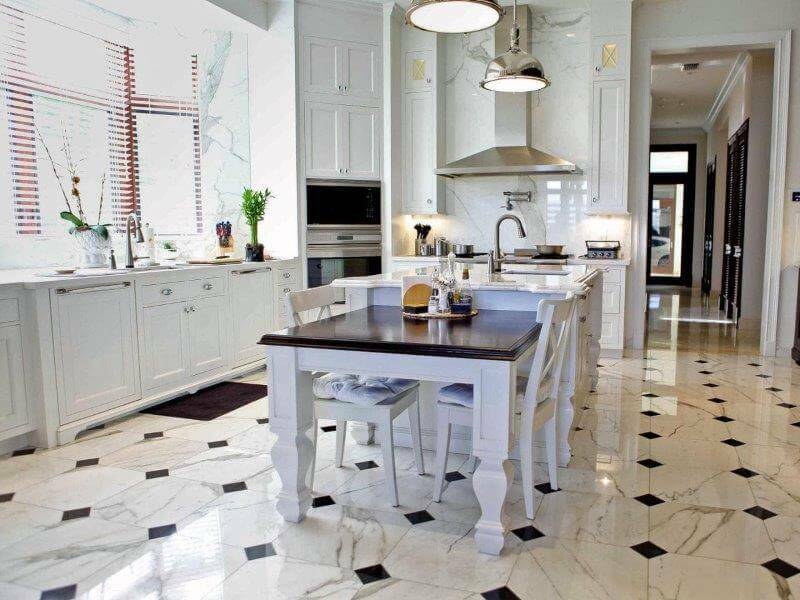 You can choose a natural stone such as granite that is heat-resistant and virtually maintenance free. An engineered man-made stone counter top can be customized to match any color scheme. Let us refresh your counter tops with a smooth, gorgeous, brand-new look. We have a myriad of beautiful counter top materials to choose from and colors to suit every taste. Whether you’re looking for tile, brick, wood, or anything else, PLM Remodeling has tons of different flooring options to choose from. We can match the rest of your kitchen, update what you already have, or start from scratch with something stunning and brand new. It’s all up to you! Make a statement with new kitchen cabinets from PLM Remodeling. Custom kitchen cabinets give you greater storage and design flexibility ensuring optimal use of your space. A recycling center, a blender cabinet, or integrated spice racks are just a few of the endless list of combinations. Our custom kitchen cabinets whether updated or completely redone – can make a huge impact in any kitchen with a unique look and style that complement your home. Are you tired of dark nooks and crannies in your kitchen? Not enough light to read recipes or see well enough while cooking? We have a solution for you. We are passionate about what we do and take a good time to plan and come up with what the client wants. Our design team have a background in architecture and engineering and are always up to the task of coming up with designs that will fit your desires. What We See In Your Home Stays in Your Home As we remodel your house, we understand that privacy and respect is a top-notch ideal for our customer. That is why we have a highly trained staff, which will finish the project efficiently so you can get back to your new kitchen. For the past three years, we have become the number one choice for services Kitchen remodeling in Houston because of our work ethics. We complete all the work we do on schedule and leave everything arranged very neatly. We will be in constant communication with you throughout the project. Let us bring your Kitchen ideas to life. We work together with you keeping you informed about everything that’s going on in your kitchen. This allows you to be more involved in the overhauling process and to give us special instructions during the kitchen remodeling process. Call us at (832) 593-9500 to schedule an appointment with one of our highly skilled professionals. To get your kitchen remodeling started as soon as possible and to be sure you have the best of the best in charge of your kitchen Contact us and find out why we are the best of the kitchen remodeling companies in Houston.